Until 1937 the city centre was divided along the tree-lined shores of the Adigetto River and the banks were connected by several bridges. In time, the level of water became substantially reduced, so as not to be particularly useful for navigation. Furthermore health problems also became an issue which led to the placing of the urban section of the Adigetto underground. Thus an important main street in the centre of the city was created as well giving new impetus to the construction of buildings. The construction of the Corso del Popolo, however, came to a halt with World War II, leaving few, limited interventions of public buildings such as the Post Office building and the Palazzo INA. There were some attempts made to give the road a general plan, but this did not avoid the fragmentation caused by private interventions. 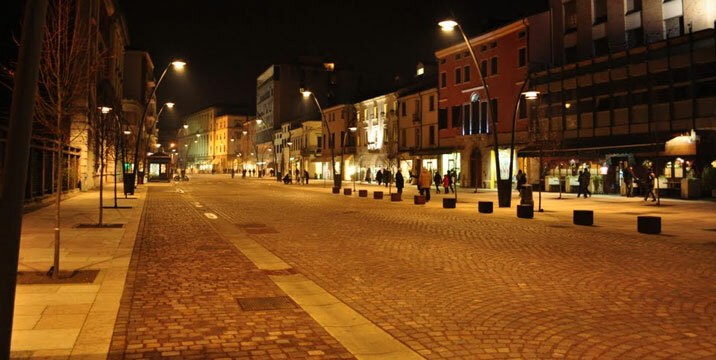 The current Corso del Popolo, as a result of a major urban redevelopment, stands as part of a general plan that wishes to give Rovigo a renewed aspect, making it modern and functional, livable in all its spaces, in short, a city on a human scale. 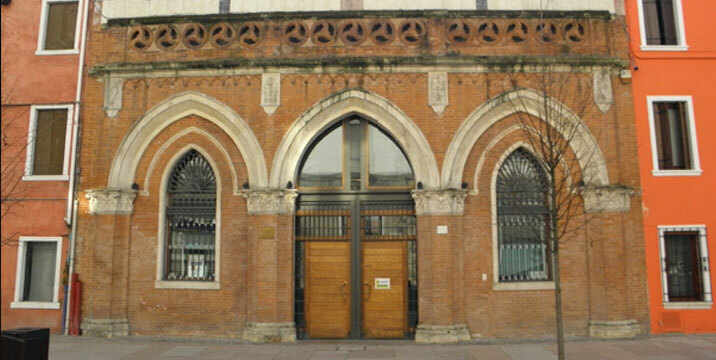 The curious neo-Gothic building which is located along Corso del Popolo, close to the castle towers, is the home of the New Fish Market. In 1871 the old fish market, located at the end of the current Via Pighin, proved to be insufficient above all from the point of view of hygiene. Its closure was decided and a new one was built which, at that time, faced the Adigetto Riviera, using materials in vogue in Paris at that time, such as cast iron and glass. The neo-Gothic façade with a large door between two large pointed arch windows, opened onto a vast well-lit space with a glass roof and cast-iron columns that framed the marble stands on which the fish was displayed. Today, after careful restoration, it is a multipurpose room used mainly for exhibitions. A stroll along, what was until 1937 the river bed of the Adigetto, the current Corso del Popolo, will take you through the history of the city through the buildings and urban developments that have changed the face and soul of the capital of Polesine. 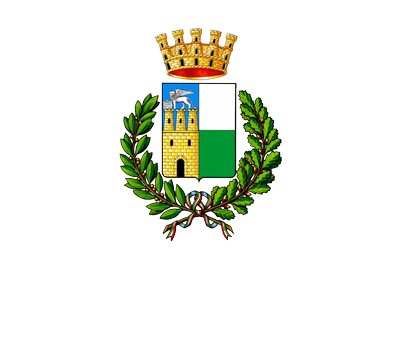 In the thirties the urban expansion of Rovigo begins and some radical changes take place such as placing the river underground and moving the it westward, the dismantling of the Jewish ghetto and the construction of some impressive buildings such as the Post Office building in 1931, Palazzo INA and the Palazzo of Civil Engineers. The project was interrupted by World War II and the fall of fascism, limiting the interventions of that public monumental urban construction typical of the fascist era. 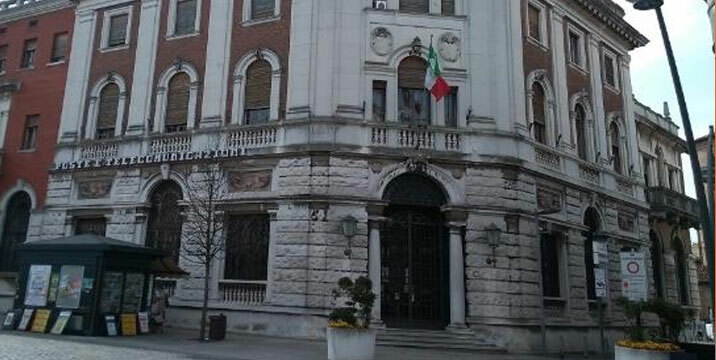 Palazzo Venezze is still one of the most beautiful buildings in the city. It was built in 1715 to designs by Agostino Ghirotti. Originally the main facade was the one which today faces Via Cavour. The building was owned by the Venezze family until the beginning the last century, when it was left to the City, after many vicissitudes it became the home of the Conservatory of Music. The current facade was once the rear of the building, while the access road was occupied by stables that faced the ancient river course of the Adigetto.